Modern publishing is a tricky game — especially when trying to figure out the biggest names within that game. Most major publishers are part of a larger media conglomerate, and a search for the year's largest book publishers will often yield companies that work with other forms of content rather than books. So to help you zero in on the prize, we've published this guide to the largest contemporary book publishers — i.e. no companies that mainly publish magazines or highly specialized materials, such as instruction manuals. We have included educational and journal publishers, which are often linked to traditional literary publishers and may be relevant to our readers. But other than that, all these companies work with the kinds of books you’d find in bookstores. 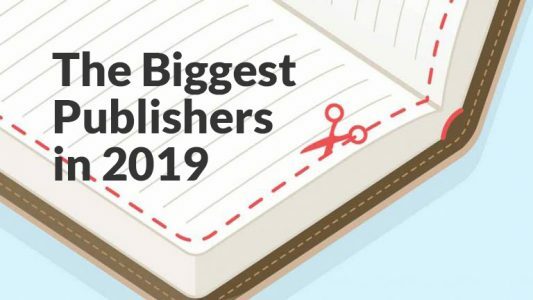 Without further ado, here they are: the 20 largest book publishers in 2019 according to recent data, along with brief profiles of who they are and what they do. 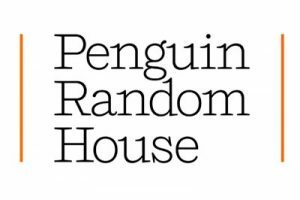 Formed in 2013 through the merger of Penguin Books and Random House, Penguin Random House (PRH) is considered to be the biggest publishing house in the industry. It has over 200 divisions and imprints, in addition to those listed above. PRH itself is jointly owned by multinational companies Pearson PLC and Bertelsmann, accounting for a rather substantial sum of their finances each year. In terms of actual publishing stats, PRH puts out over 15,000 books a year and sells about 800 million copies of print, audio, and ebooks annually. 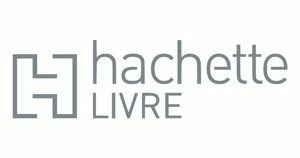 Hachette Livre is another Big 5 name, the largest in France and one of the most prominent publishers in all of Europe. It’s owned by the Lagardère Group and encompasses over 150 imprints. Hachette Livre was officially formed in 1992, when the publishing assets of Hachette SA (its former parent company) were collected into a single subsidiary. HL has been growing ever since and currently publishes about 20,000 books a year — even more than PRH, for those keeping score. Springer Nature is a research and educational publisher formed through the merger of several groups, including Macmillan Education and Springer Science + Business Media. For those who think the former sounds familiar, Macmillan is another Big 5 publisher, just like the first two entries on our list. That’s why Springer’s assets are so sizable, despite being so recently established. Springer mostly publishes academic journals, but as with many educational publishers, it’s still closely linked to traditional publishing — namely, in the form of Macmillan Publishers proper (see #10 on this list). 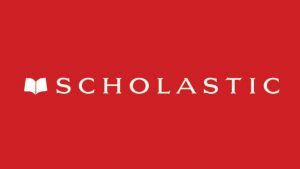 Another major publisher of educational texts as well as kids’ books, Scholastic was founded in 1920 and has remained relatively intact — that is, unlike many other publishers, no one else owns it. Scholastic is the largest publisher and distributor of children's books in the world, with perpetual rights to many of the most famous children’s and YA series of all time, such as Harry Potter (recently acquired from Bloomsbury) and The Hunger Games. Its annual revenue has averaged around $2 billion over the past couple of years, and it consistently publishes some of the most popular titles in children’s literature. The recently rebranded Wiley (formerly John Wiley & Sons) is an academic and instructional publisher. It was founded in 1807 and has a very esteemed history, serving as the original publisher of authors like Herman Melville and Edgar Allan Poe. Last year, Wiley reportedly had about $1.8 billion in revenue, and its profits today come largely from test prep materials and comprehensive guides to various subjects — including the well-known For Dummies series, which includes over 2,500 titles to this day. McGraw-Hill Education should ring a bell for anyone who’s experienced the magic of the American public school system. As one of the “big three” educational publishers (along with Pearson and Houghton Mifflin, both further entries on this list), McGraw-Hill has long played a major part in providing textbooks and other curriculum materials for the K-12 set. 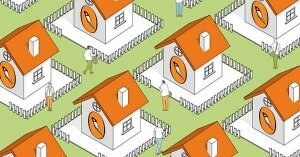 And while much of its current strategy focuses on digital content and technological learning solutions, it still has a serious horse in the race of textbook publishing. HarperCollins is another Big 5 publisher, though its 2018 revenue was lower than PRH’s and Hachette’s at roughly $1.5 billion. 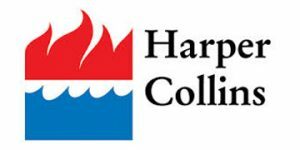 HarperCollins was created in 1989 through a multi-company merger, taking its name from former publishing giants Harper & Row and William Collins. It’s currently a subsidiary of News Corp and has over 120 individual imprints, most of which are based in the US. Another fun fact about HarperCollins is that it published more of our best books of 2018 than any other publisher except for PRH, with HarperCollins titles including The Woman in the Window and I’ll Be Gone in the Dark. Cengage is an educational publisher that’s not considered part of the “big three” — though it may be about ready to sub in, after its most recent fiscal report. Cengage’s profits last year came largely from online textbooks and other course materials, similar to McGraw-Hill. However, despite its present business model being digitally based, Cengage is still linked to traditional publishing in the form of a library division called Gale. Between the research and academic publishing that Gale conducts and the thorough online resources that Cengage supplies, we can expect to see Cengage rise in these rankings over time. 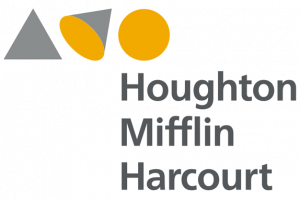 Officially formed in 2007 after a merger between (you guessed it) Houghton Mifflin and Harcourt, Houghton Mifflin Harcourt is the second of the “big three” educational publishers. Though it was formerly a subsidiary of Education Media and Publishing Group, HMH now owns itself and all its imprints, which include Holt McDougal and Riverside Publishing. Like McGraw-Hill and Cengage, HMH serves the K-12 education market and sees most of its profits come from that, though it does produce general interest, culinary, and children’s titles as well. Macmillan Publishers is another prong of the Holtzbrinck Publishing Group empire. 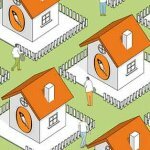 Remember Springer Nature and how it was created through that 2015 merger? Well, the current incarnation of Macmillan was formed in the same way — though its own assets are more or less the same since before the merger. In any case, though Springer technically generates more revenue, Macmillan remains the more famous name. It’s a Big 5 Publisher with an illustrious history dating back to 1843, publishing the original works of authors like Lewis Carroll, Rudyard Kipling, and W.B. Yeats. Oxford University Press (OUP) is the largest university press in the world, and by far the oldest on this list — it has origins in the 16th century, when the print trade was just getting off the ground! Today, OUP publishes books, journals, and selections of sheet music through itself and a few distinguished imprints. It’s best known for its dictionaries, historical guides, and literary fiction, such as those that come out of its Oxford World's Classics imprint. 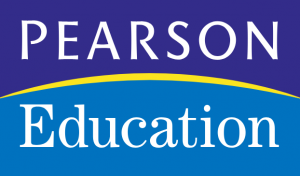 As you might recall, Pearson PLC owns Penguin Random House as well, but its Pearson Education division is limited to academic texts. This is the third of the “big three” educational publishers and, similar to its fellows, Pearson Education has made great digital strides to stay at the top of the market over recent years. PE has recently partnered up with language learning service DuoLingo to reach more consumers, and it’s also established a website-operated textbook rental service. Indeed, like other educational publishers, textbooks remain a cornerstone of its business. Kodansha is the largest publisher in Japan, with a primary focus on manga — technically a type of comic rather than a book, but with detailed, continuous plots that distinguish them from American-style comics. Kodansha would not have such a high yearly revenue without its manga-based imprints, and thousands of intricate series have led the publisher to great success since its founding in 1938. Besides manga, Kodansha does occasionally publish traditionally formatted books and a few literary magazines as well. Following Kodansha is Shueisha, another Japanese publisher. Shueisha and its sibling publisher Shogakukan produce more literature and nonfiction than Kodansha, though they do manga (and many other forms of media) as well. Both are part of the Hitotsubashi Group, an inter-company system called a keiretsu that includes a few other major media companies. Shueisha was formed a few years after Kodansha, in 1949, and is a smaller group that puts out fewer works per year overall — but its partnerships with the other companies in the Hitotsubashi Group have helped bolster its publishing status and reputation, and it could overtake Kodansha in the coming years. 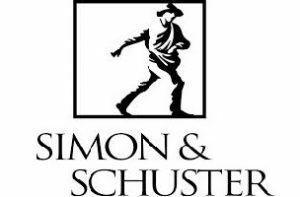 Simon & Schuster is the final Big 5 publisher on our list, with a 2018 revenue of roughly $830 million. It was founded in 1924 and is now a subsidiary of CBS Corporation. Simon & Schuster was the original publisher of “Lost Generation” authors like Hemingway and Fitzgerald, and has since published many eminent authors such as Stephen King and Dan Brown. It currently releases over 2,000 titles a year, and a few of its 2018 bestsellers are listed above. Though Grupo Santillana sold all its trade publishing business to Penguin Random House in 2014, it’s still a big name in educational texts. Founded in 1959 and now owned by PRISA, a Spanish and Portuguese media group, Grupo Santillana performed very well last year — especially for an educational publisher outside North America, where most others are based. Besides textbooks, a good portion of Grupo Santillana’s business comes from alternate educational pursuits, such as online learning assistance platforms and in-classroom development projects. Based in Sweden, Bonnier Books is part of the larger Bonnier media group that’s been operating since 1804. It’s entirely owned by family members, some of whom are seventh generation descendants from the original founders! Bonnier encompasses imprints in Finland, Norway, and the United Kingdom and has a particularly strong presence in the children’s market. Last year, Bonnier reported $760 million in revenue and had several international publishing successes, especially in Europe. Editis is the second largest French publisher (after Hachette Livre) and a major division of Grupo Planeta, a Spanish media group based in Madrid. While many of Grupo Planeta’s other companies focus on magazine and newspaper publishing, Editis caters to book publishing in all forms. Editis publishes French books as well as many translations of popular international works — in 2018, this included L'Arbre-Monde (The Overstory) by Richard Powers and Le Meurtre du Commandeur (Killing Commendatore) by Haruki Murakami. Klett is a publisher based in Germany, held by the stock corporation Klett Gruppe. It originated in the 19th century and was named after “Ernst Klett the Elder,” who founded the Ernst Klett publishing house in 1897. 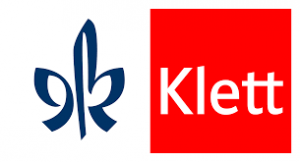 After becoming Klett-Cotta in a 1977 merger, the publisher evolved into today’s Klett. It’s now largely an educational service, but it also publishes literary fiction and nonfiction. Our final entry, Egmont Books, is another subsidiary of a larger company: the Egmont Group. Egmont Books mostly publishes fiction for children, both YA and picture books, and has a particularly strong presence in the UK. In 2018, it found success with a number of children’s titles such as those listed above. Egmont is especially well-known as the current publisher of the Mr Men and Little Misses series, which has been in print for over two decades now. So there you have it: the 20 largest book publishers in the business today. Were they in the order you thought? Are there any you were surprised to see — or surprised not to see — on this list? Let us know in the comments below. Free Course: Want to land a book deal? Learn about traditional publishing over 10 lessons.